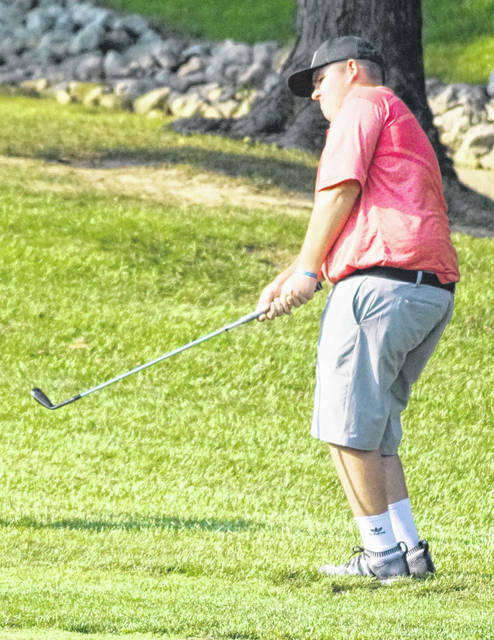 GOSHEN – East Clinton’s bid to overtake Georgetown for the SBAAC National Division golf title likely ended Wednesday in the division’s 18-hole tournament at Eagles Nest Golf Course. The G-Men had 344 and the Astros had a 363 to finish 1-2 in the tournament team standings. Blanchester was fourth with a 400. East Clinton is well behind Georgetown in the league standings. League officials are hoping to play the divisional at Friendly Meadows Golf Course to complete the league schedule. Among individuals, Lance Sininger of Georgetown was the medalist and is on his way to being the National Division player of the year. A pair of East Clinton players are right behind at 2-3. Brendan Walters and Gage McConahay are next with Walters holding a seven shot lead. On Wednesday, Walters shot an 83 while McConahay had 86. For Blanchester Jacob Miller’s 96 edged Ashlin Benne’s 97 for team honors.